Estate planning arranges your affairs so your property will be transferred smoothly and properly when the time comes. It ensures you are in control and protects your spouse and your children. It makes sure that your wishes are followed when it comes to health care, living arrangements, and financial matters. It maximizes your assets and minimizes the cost. It can save millions in estate taxes. The most important step in making sure your affairs are in order are to have the basic estate documents in place. They are a Will, a Power of Attorney, and a Living Will and Health Care Directive. Sometimes we use Trusts and other fancy documents, but all of them ensure things will work smoothly when things happen. John will make sure your affairs are in order and you don’t wind up like Grandpa. A Will is your direction as to how your assets will be distributed when you pass on. It is important to understand that assets which you own jointly with someone else (bank account, house) or which have a named a beneficiary (life insurance policy, pension plan, or IRA) do not pass under the Will. The joint account holder and named beneficiaries will receive those assets regardless of what your Will says. It is critical for everyone to have a Will in order for your estate to be distributed to and inherited by the people who you want. 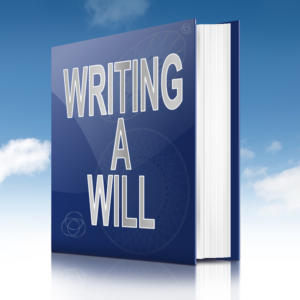 If you die without a Will, the laws of the State of Connecticut dictate who gets your assets and who handles your affairs. These may not be the people whom you would choose to inherit your estate. If you have an ill spouse at risk of needing long term care in a skilled nursing facility or home health care services at home, you should execute a new Will to insure that in the event you die first, your assets do not pass to your ill spouse where they will be consumed paying for care. My grandfather refused to execute a Will because he didn’t want to acknowledge or deal with death. When he died, his estate was a nightmare. The problems fell on his children and cost a lot of money and time. Things did not go as Grandpa would have wanted. Another relative’s Dad died in Connecticut with a simple Will. He paid hundreds of thousands in estate taxes because he failed to do basic estate planning. And, he was a lawyer. While planning to minimize or avoid estate taxes is an important reason to meet with an estate planning attorney, creating an estate plan is about more than reducing estate taxes (estates under $5.25M are no longer taxed but estates more than $2M in Connecticut will be taxed and New York just moved its exemption to $5.25M, but it is phased in). Planning for your estate and your legacy can protect your beneficiaries and the assets you leave them from their creditors, a future divorce, and even their own misjudgment. Estate planning is also about providing protections during lifetime, such as avoiding a guardianship or conservator ship proceeding if you’re incapacitated and protecting your money from the possibility of an extended stay in a nursing home. Estate planning arranges your affairs so your property will be transferred smoothly, properly, and at the minimum cost when the time comes. Because the state laws are different, you need to review your estate plan if you move even short distances like from Bethel CT to Somers NY. A power of attorney is one of the most important estate planning documents you should have after a Will. A power of attorney allows you to appoint someone to act for you in financial matters (your “attorney-in-fact”) in the event you are unable to act for yourself. If you do not have a power of attorney, and are unable to manage your affairs, you will have to wait until a conservator is appointed and the delay is very meaningful. The reason you need an advance health care directive is to retain control even if you are incapacitated. It is a legally binding document which expresses your wishes concerning health care decisions, and appoints an individual to express your health care wishes in the event that you are unable to do so yourself. This is not done in a Will. If you don’t have one, you are the mercy of the Hospital and the State. John combines superior knowledge and experience with kindness, compassion and care. He helps Mom and Dad and the Family. These are difficult times and need a soft hand. Connecticut and New York have unique and different laws which require special planning. So, there may be some different considerations if you live in Wilton, CT or Pound Ridge, NY. Remember, “Time is not on our Side”.